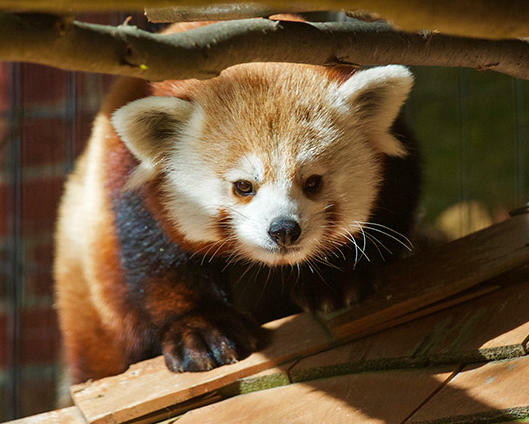 The Beardsley Zoo has just announced that its red panda viewing area has a live webcam that allows zoo lovers to take a peek at how these beautiful and rare red pandas live. The camera hours will feature a live feed from 8:30 a.m. to 6 p.m. every day. The red panda cam may be reached by clicking here. Red pandas have a taste for bamboo, but unlike their larger relatives, they eat many other foods as well: fruit, acorns, roots, and eggs. Similar to giant pandas, they have a modified wrist bone that acts as a sixth digit or thumb. While the red panda’s scientific names mean ‘fire-coloured cat,’ they actually have more in common with bears and raccoons. Their soft, dense fur covers their entire body, including the soles of their feet. They use their long, bushy tails to balance when they’re in trees – and also to cover themselves in winter. The Zoo is located on 1875 Noble Ave. in Bridgeport and is open from 10 am to 4 pm.